Former President Daniel Arap Moi is currently at the Nairobi Hospital. Kenya’s second head of state is set to undergo a routine medical check up. In March, Moi, 94 was flown to Israel for treatment on his knee. Again, on January 27, 2017 he had surgery on the same knee at the Aga Khan Hospital. The problem began in 2006, after his Range Rover collided with a pick-up truck at the Rukuma Viewpoint in Limuru. 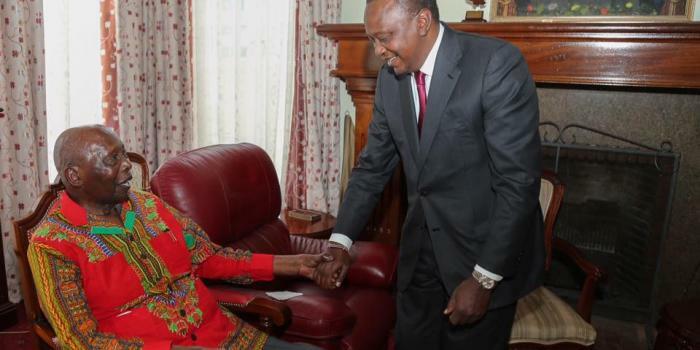 In August last year, Kahawa Tungu reported that the former president was suffering from dementia and was unable to recognize those close to him.